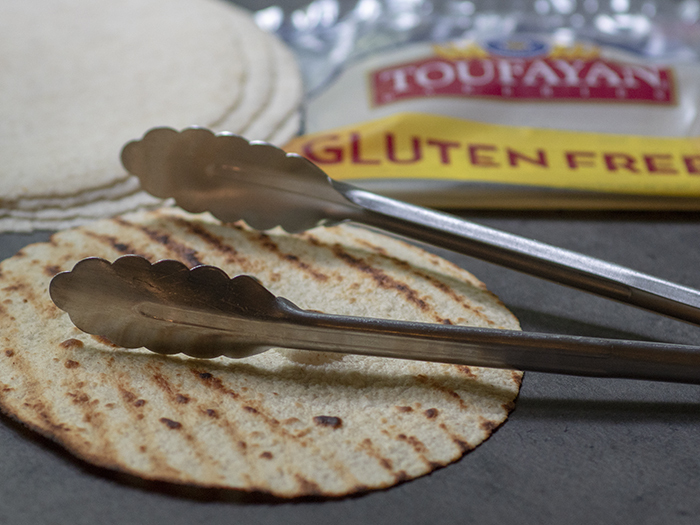 May is National Celiac Awareness month and for those of us affected by celiac or other forms of gluten-intolerances, coming in contact with gluten can have severe consequences. One out of every 133 Americans has celiac disease, equivalent to nearly 1% of the U.S. population. Unfortunately, 83% of the 3 million Americans living with celiac disease remain undiagnosed or misdiagnosed. I’ve been gluten-free for about six years now, and earlier this week photos from a past trip to Cinque Terra, Italy popped up in my Facebook feed. We had gone to Italy to shoot photos and videos for a client, but the trip also included our friends Shauna and Danny. They were instrumental in helping me understand the health issues I was experiencing were related to gluten exposure. It was a picture-perfect day: gorgeous blue skies, ragged hills dotted with terra-cotta colored villas; brightly-colored blue, red, orange and green boats bobbed in the sea and along steep cobblestoned streets, laundry hung to dry from balconies and windows. We found a restaurant near the water and in the waitstaff patiently pointed to the menu items we could eat and still be gluten-free; we feasted on octopus and potatoes, mussels in butter and fresh prawns in a tomato sauce. It was an absolutely glorious meal! Thing is, it’s pretty easy to eat gluten-free in Italy – a country known for their pasta but also has a high population of celiac disease – so they take great care to feed people well. Here in the States, I rely on companies like Toufayan Bakeries to feed me well with their gluten-free products; we always have their wraps on hand because they’re extremely versatile: breakfast quesadillas, cinnamon crisps, cast iron skillet pizza and this simple grilled caesar salad with shrimp. 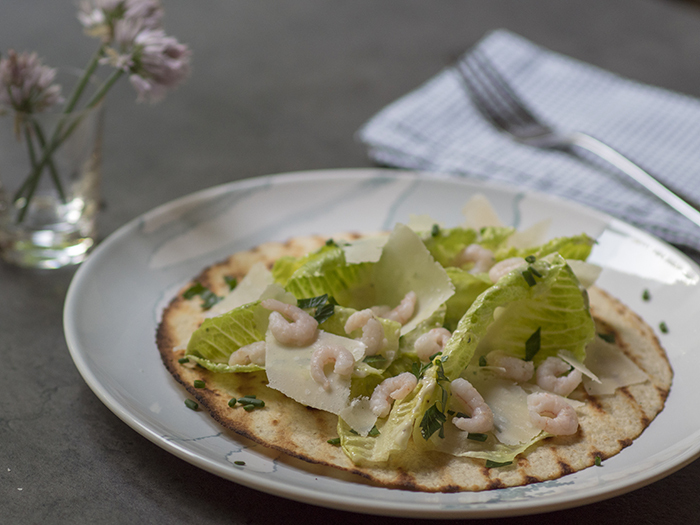 Perfect for warm weather, wraps are grilled a few minutes on each side to give them a nice smokey flavor then topped with romaine leaves tossed lightly with caesar dressing, a few snips of chives, a bit of parsley and parmesan and crowned with soft baby-pink shrimp. I’ll pour the wine and meet you outside on the deck for dinner al fresco! *Disclaimer: This post is sponsored by Toufayan Bakeries. All content and opinions are always my own.